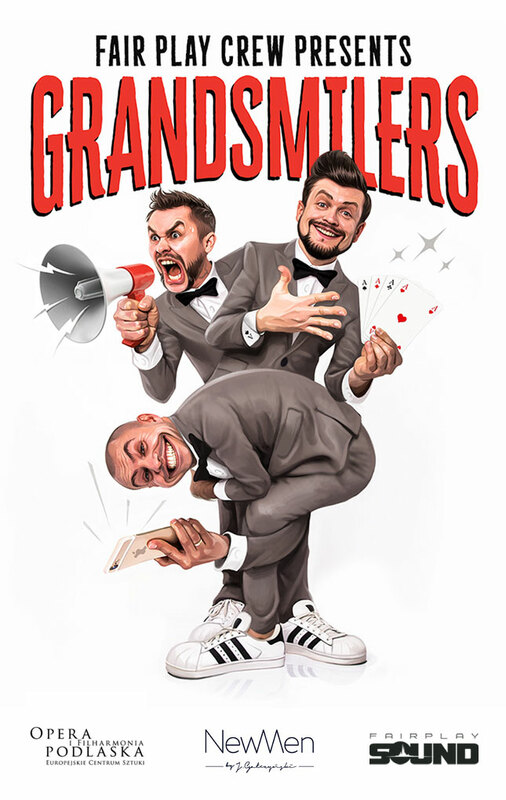 „Grandsmilers” is a new project of a comedy group – Fair Play Crew! Crew’s abstract sense of humour, over 20 years of dancing experience and indisputable scenical talent make a simple salient act a burst out laughing performance for an audience at any age. This unique act brings us to the future where Fair Play Crew members become an elderly men who look back at their past and wonder how it used to be back then. It used to be wild! It may sound sentimental but it definitely isn’t! Watching those flashbacks becomes a pure joy. During one month long turnee in China, Fair Play Crew presented comedy show called “Seriously Funny”, which you can also see in Białystok. With the show “Amatorologia” – first polish dancing comedy, they won the most important comedy festival in Poland – PAKA – in exceptional style. Crew, during over 20 years of artistic work achieved wide range of rewards in Poland and abroad. 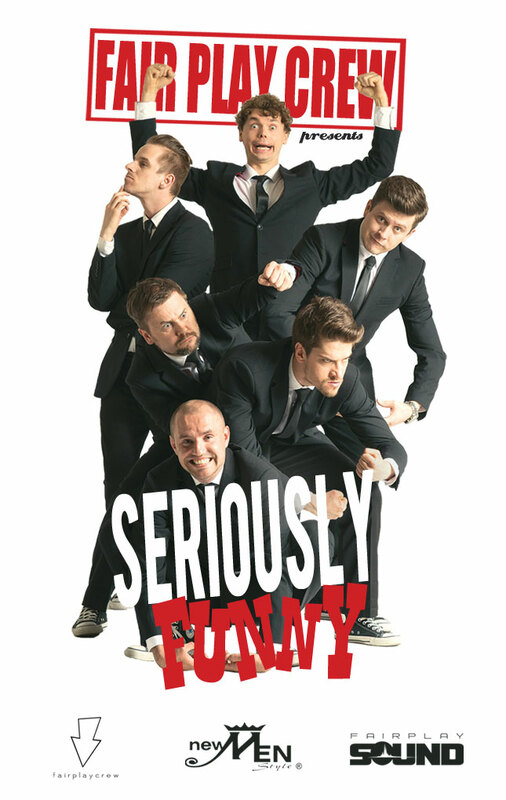 „Seriously funny” is a dancing project made by comedy group – Fair Play Crew. It gets laughs from people at any age by telling hilarious stories with universal language of movement, dance, acting and pantomime. Funny, clever and surprising! Fair Play Crew is a performing group, loved worldwide! © 2019 Fair Play Crew. All Rights Reserved. Made with ♥ by DO IT crew.